We’ve managed to gather a decent collection of the Barbie DVDs the last few years and I’m okay with that. Every DVD comes with a Spanish language option, so it’s actually been one of the movie series she’s watched the most. Not only do we have them because of the Spanish-language option that’s so important to us, but also because the movies always carry a positive message about friendship and being true to oneself. My girl can also use her imagination to play fantasy games with the dolls from the movie. 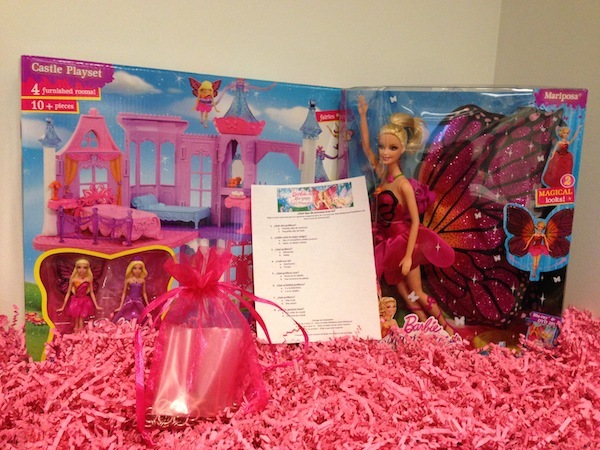 Barbie Mariposa and the Fairy Princess is back and was released almost a month ago on DVD. 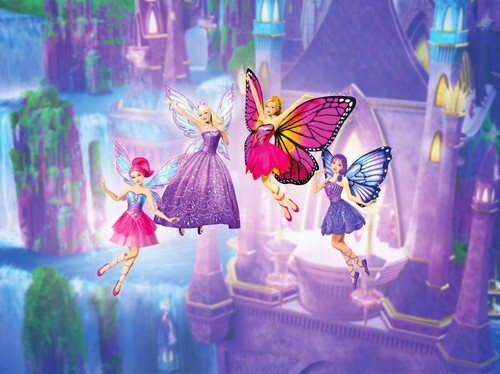 Mariposa, the Butterfly Fairy travels to Shimmervale–a magical kingdom powered by crystals. There she discovers the enchanting GlowWater Falls and makes best friends with Catania–the Fairy Princess. When an evil fairy tries to steal all of the crystals in Shimmervale, the two girls have to team up to save the kingdom and discover friendship overcomes any obstacle. We have one gift pack consisting of everything you see in this picture below. For your chance to be the winner, enter via the rafflecopter below letting us know if you think the girl you want to win this for is a Mariposa or Hada. My daughter is a mariposa! I think my daughter is a Mariposa. We are mariposas in our house!! My daughter is a Mariposa ….for sure! My daughters would love this. I am an email subscriber. My daughter is a Hada! My daughter plays Mariposa and Hada. I’m partial toward the mariposa for her. My girls are team Mariposa and team Barbie anything! My Niece Is A Mariposa! I’m Already A Email Subscriber! I’d say she’s a Mariposa. I think my daughter is a Mariposa! My niece is a Mariposa. Mariposa for sure for my friend’s daughter. My husband and I think my daughter is a beautiful Hada. Would make a great prize for one of the games at our Hispanic Heritage Month Celebration. I work at the local library and we are playing la loteria to celebrate! Mi daughter loves both Hadas and Mariposas! My Daughter is definitely a Mariposa! Oh I think I would say a Mariposa!